This report describes recent worldwide EMA DevOps research that analyzed DevOps strategies, challenges and tool use. It provides background on the study, the release management market, and the Top 3 and Innovator award evaluation criteria. Plutora has earned the Top 3 award for release management. 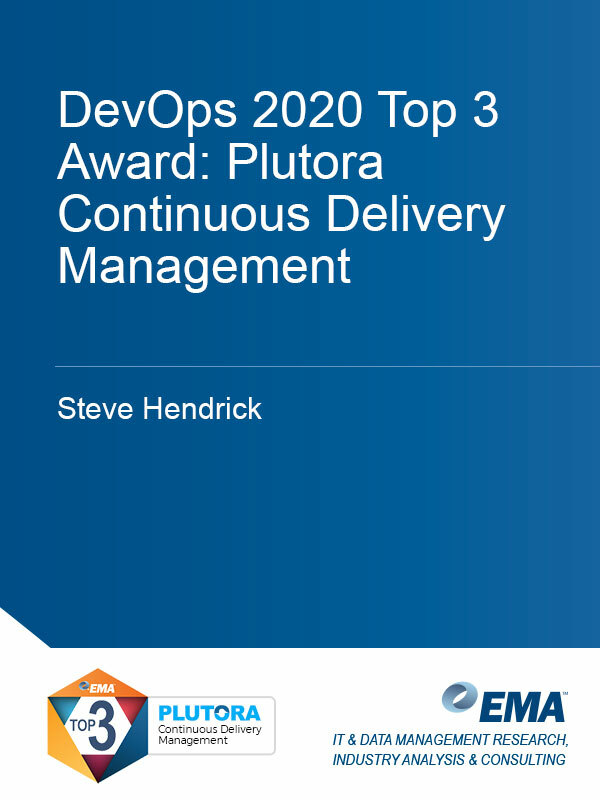 This report describes overall product rating for Plutora Continuous Delivery Management along with scores for penetration, features and customer satisfaction.